For many health and fitness enthusiasts, more often than not, they find themselves in situations where they need an on-the-go supply of health elixirs. Fruit juice is one of the best-known ways of staying vitalized. It is often prescribed to us by our doctors all the time, owing to the nutritional value contained in them. For this need, inventions have not failed us. The use and demand for personal blenders or single-serve blender if you like, has been on the rise lately. Therefore, in this review, we are going to look at the ten best portable blenders. Many house appliances brands have ventured in the business of manufacturing portable blenders. It is therefore up to interested buyers to find the best portable blender to suit their requirements as they come in very many variations. You can definitely get it from Amazon. The variations also constitute a number and therefore, you also have to realize what you need your personal portable blender to do for you. Whether you need to be making a smoothie at your favorite chill spot, or for that protein shake while at the gym, or you like your nuts crushed, these specifications need your portable blender to perform different specific tasks better than others. Therefore, if you are looking to find the best portable blender, then this review is suited for your need. I have done intensive research and carefully picked out the personal favorites judging on their compactness, price, power, efficiency, accessories, features and of course portability. So, what are portable blenders? I’m sure many of us have heard and most probably used a blender. A regular sized one that is. We use them almost every day and if not, at least drink fruit juice made out of them. Basically, blenders can be used for various functions like chopping vegetables and fruits, grinding nuts, making energy shakes and the list goes on. They come in handy most especially when we need to make something to eat for our elderlies and children as they help break down food to a simpler form to take in. Portable blenders are simply mini versions of blenders. They contain the same capabilities as regular normal sized blenders but offer more efficiency and mobility. Mainly, this is because portable blenders are smaller in size and can fit in smaller spaces. They are therefore used in most situations for single serves only, which makes them personal blenders. Portable blenders are designed to use less power, up to say 300 watts and will give you about 24 ounces of blended nutrition. You can easily get it to form Amazon. If you need to make small batches of smoothies, juice, baby food or want a blender you can carry around without seeming crazy, this is what needs to be on that kitchen counter that is rarely used because other appliances won’t fit. The best part is how big the list to choose the best portable blender from is. There are thousands of brands out there, big and small, that produce such blenders and all of them have many variations to fit the needs of their customers. Small brands more often than not manufacture better performing portable blenders as they focus on the market of only mini blenders. However, higher reputed home appliance brands also manufacture more durable and compact ones. Therefore, it is again one’s preferences that determine which portable blender they will want to purchase. Here are some of the best portable blenders that I found on the market. The portable blenders on this list have defining features that stand out to others. The best portable blenders attain that standard by passing certain qualifications. 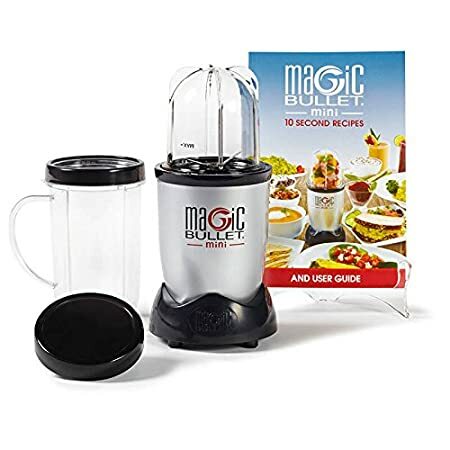 Powerful portable blenders, for instance, should be powerful enough to handle chopping hard ingredients like nuts, seeds, and some vegetables. Therefore, a powerful portable blender should be of 600+ watts for it to seamlessly blend anything you through in it. Secondly, the best portable blenders occasionally come with accessories that provide more efficiency. Such accessories could be portable blender cups, strainers, portable blender bottles, multiple blades, and even others come with a recipe guide. Also, the best portable blenders have better-defining features like bigger container width or varying portable blender cup sizes. Container width counts a lot especially since it needs to be able to fit in the ingredients regardless of it being a mini-blender. Also, the controls of a portable blender should be as easy to operate as they can in order for it to be classified as among the best portable blenders. Some do not have even a single button or setting to remember, making them quite user-friendly. This blender can be easily purchased from Amazon. Of course, the best portable blenders should also be the most compact. Thus, compactness will influence the choice of blender you should buy if durability is among your requirements of an on-the-go blender. Many portable blenders can go for about $25 to up to even more than $200. Definitely, it goes without saying, therefore, that the more one costs, the better results you may get from it. Cheaper personal blenders often have weaker motors that tend to break down if not used to their specifications accordingly. With all that said, here are some of the best portable blenders specifically hand-picked for you. Hamilton beach portable blender comes in a number of models. The different models all have unique defining features that stand them out. The most popular Hamilton Beach portable blender is the 51102. This one comes with two portable blender cups. It also comes in different other models like the 51101, 51101BA and 51103. They are all the same but with a slight difference in features. However, they are the same price. 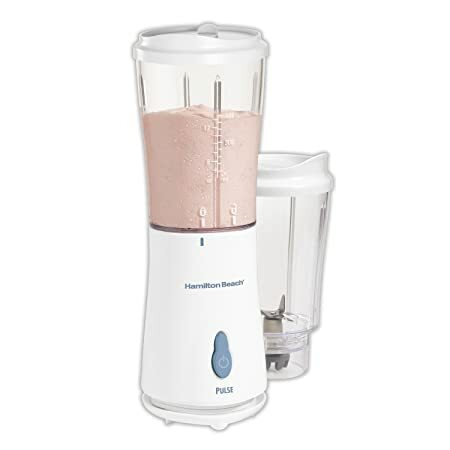 Hamilton Beach portable blender has a unique design that has the blade built so that it is inside the jar as one whole piece. This greatly improves the ease of cleaning and means that the blender requires fewer components. Though that means that deciding to use the jar on the go will also mean that you take the blade with you. The Hamilton Beach portable blender design is also more efficient in fitting wide ingredients as it has a wider cup than other mini blenders. The wider cup also helps in cleaning. You can get it from Amazon at an affordable price. Hamilton Beach portable blender has a quite strong motor that runs on 175watts of power, meaning you can use this mini-blender to make baby food, purees, grind coffee beans and basically not so hard ingredients. It has a small jar of about 14oz that is just adequate for those single servings it is intended for. Hamilton Beach portable blender is quite compact. It weighs only less than 5 pounds. Quite easy to carry around in a backpack or gym bag. The cord has a compartment at the bottom of the blender that you can wrap into for easier storage. It got very many reviews from customers who already bought it. This is a clear indication of its efficiency. The Hamilton Beach portable blender has a 175-watt motor that is not as powerful as some other personal blenders that you can use a wider range of ingredients with. It has a pulse button that restricts you to manually push the button to do short pulses for complete blending. The attached blade makes it kind of impossible to use the jar on the go. Oster portable blender is another high-quality mini blender that is also quite inexpensive. It is very good at making smoothies and protein shakes on the go. It measures 15” in height, 5” in width and 5” in depth. Therefore, it is best suited for portability and great use in small spaces, although it is a little taller than other personal blenders. In addition, it makes the container more capable of holding more content up to 20 ounces. The Oster portable blender from Amazon has a unique appeal, in that the container looks quite like a sports bottle that lets you take your nutrition benefits on the go and in style. The portable blender bottle is also BPA free, making it safe to use without risks of hormonal imbalance. Oster portable blender has a pretty powerful motor that uses 400watts or 250 blending watts. It has a re-settable fuse. You would not want to incur extra costs repairing your personal blender from a power surge that short circuits it. This is, therefore, a pretty neat and useful thing they remembered to add to the Oster portable blender. This blender has a sleek design. 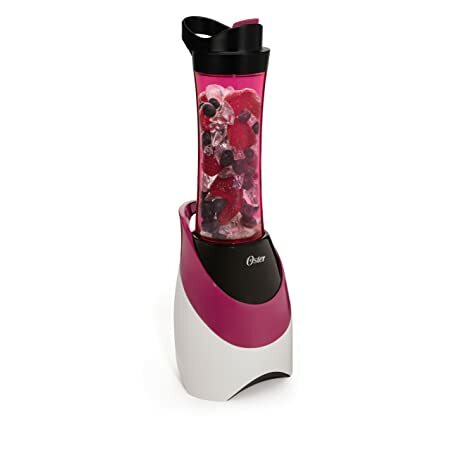 The blender has a powerful motor that gives you a wider range of ingredients to add to your smoothie. It holds a relatively more amount of substance in its portable blender bottle than most mini blenders. Due to the fuse, overheating is less common in the Oster My Blend portable blender. It is very low-priced. The narrow container that limits the ingredients that can fit in this mini blender. Fewer accessories that come with it unlike others like the Hamilton one that has multiple portable blender cups. This personal blender is the smallest portable smoothie blender I could find. It is a compact version of the Magic bullet. It is a tiny progeny of its previous ancestors that does extremely well to provide you with a healthy supply of nutrients on the go. 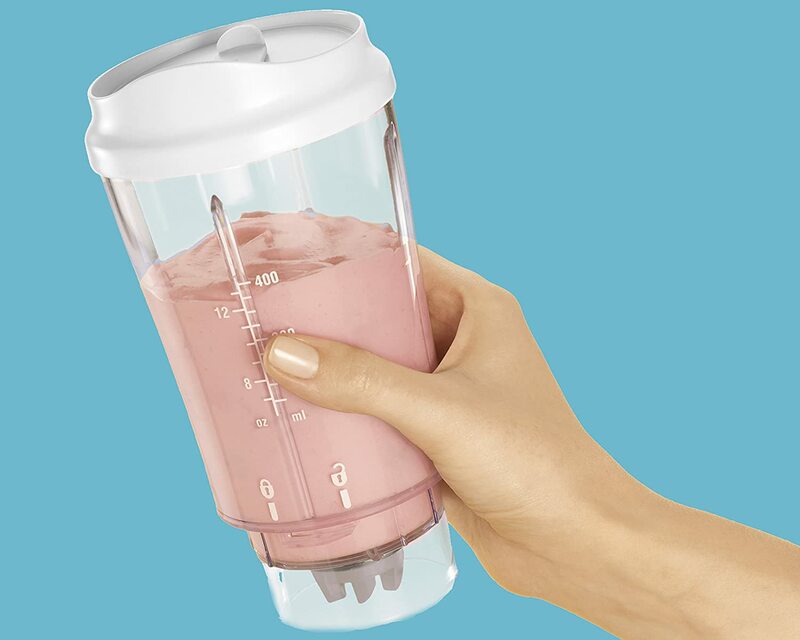 This portable smoothie blender measure 9 inches tall and 5 inches wide. It uses a 120watt motor that comes with 12oz or 8oz of power. This is plenty of power for a portable smoothie blender of that cup size. You can get it from Amazon. The Magic Mini Bullet portable smoothie blender has a wide portable blender cup like other bullet blenders. However, the Mini Bullet accessories cannot be interchanged with those of those other bullet blenders. It is only designed for blending easier ingredients and is very effective when used according to its specifications. Very small and can be suitable for making smoothies, dips, soups, and sauces on the go. Wide portable blender cup that eases cleaning and broadens the range of ingredients you can use with. Simple controls that you can easily learn to operate. 8-10 ounces of containment may be a little too little for some people who would prefer a little more blended substance. There have been complaints of overheating that have been reported but that is because many people take too long to blend things in a mini blender which should not be the case. Over the years, a decade or so, the positive reviews of Ninja portable blenders among other Ninja products and its popular infomercials have made this product line to grow tremendously. They have become so reputable and successful in becoming an innovator in the blend market with their new designs and functionality. 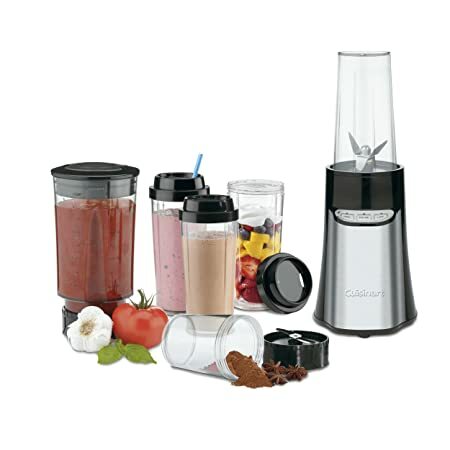 They are also quite pricey although under high-end blender brands like Vitamix and Blendtec. You can get it from ninja kitchens. The most popular Ninja portable blender is the Nutri Ninja Auto IQ. This personal blender from Amazon also comes in a full-sized version. They are equipped with an auto IQ pre-set feature that helps a great deal in applying the most ideal blending settings for whatever it is you are preparing. For instance, it can adjust the content obtained for which pitcher depending on how much you have in the blender. The blender line also has a motor running on 1000watts of power with 21,000 RPM. 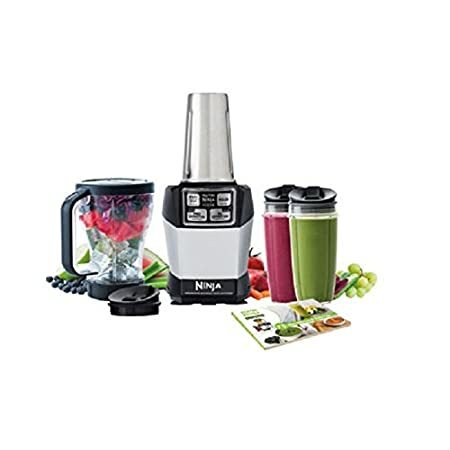 The Ninja portable blender line has a pretty powerful and fully functional motor at 1000watts, meaning power is not a restricting factor for its efficiency. Ninja portable blenders have consistent positive reviews that provide assurance in their durability, efficiency, and functionality. They come in very many different versions with distinct features. The Auto IQ is a really smart and helpful thing to have in a blender. It works almost perfectly and is very impressive the kind of results it has to give. The complicated advanced settings and features in these personal blenders are a Ninja portable blenders are quite expensive to own. Little to fully be able to operate. Whether you are facing a depressing power shortage or headed for a hike into the forest, Coleman portable battery-operated blender has you covered on keeping your supply of energizing fruit juice and elixirs still flowing. Coleman portable blender is a battery-operated personal blender that can easily be charged to last you days of battery life. It features to batteries, both 6V, and LED indicators to notify you on the battery condition. Also, this portable USB electric juice bottle blender has a calibrated pitcher, a pour spout and even a non-skid base to its rugged build. Coleman portable blender from Amazon has an impressive ability to blend something between 20-30 pitchers on just a single charge. It also comes in four different models that you can choose from, each offering reliability. It operates on a high-RPM and relatively powerful motors that chop pretty well. Constitutes an LED battery level indicator, that way, it does not get discharged on your watch or while using it. Can blend quite a lot of pitchers in one charge. Has a one-year manufacturer’s warranty. The pitcher has a pour spout as well as calibrations on it. 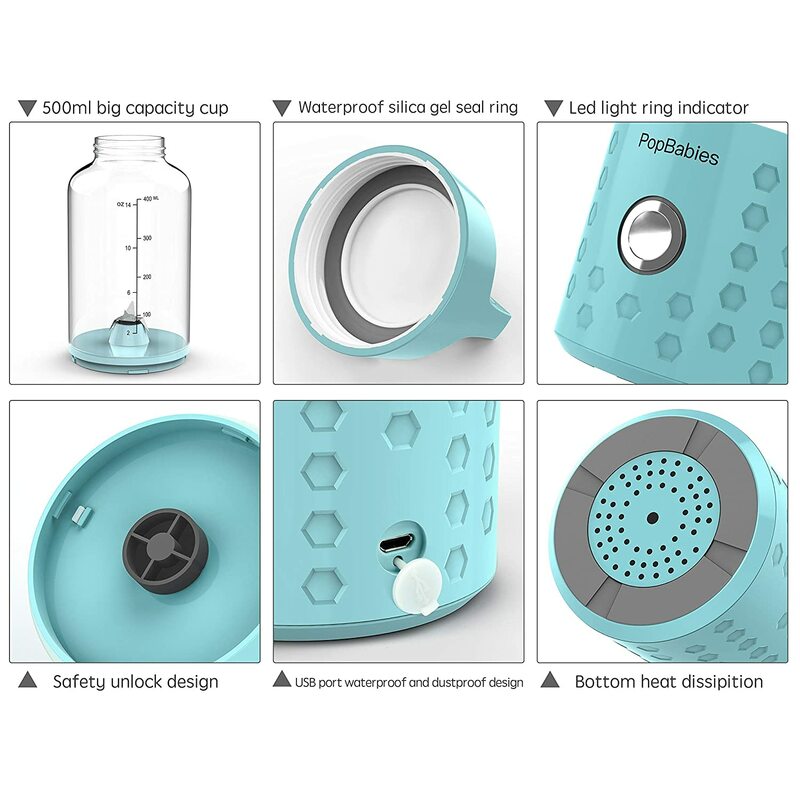 Has a safety precaution that prevents you from powering it on before putting its lid back on. It is a portable battery-operated blender and has a long battery life of up to five days. Some people have been reported to complain about it not blending drinks well. Some reviews stated that they could feel chunks left in the drink after blending. Its in-built battery makes it a little bulkier to carry than other portable blenders. PopBabies travel smoothie maker is a portable USB electric juice bottle blender. Meaning you can recharge it using a USB cable. This portable battery-operated blender has been getting very many reviews on the internet and this is no false praise. 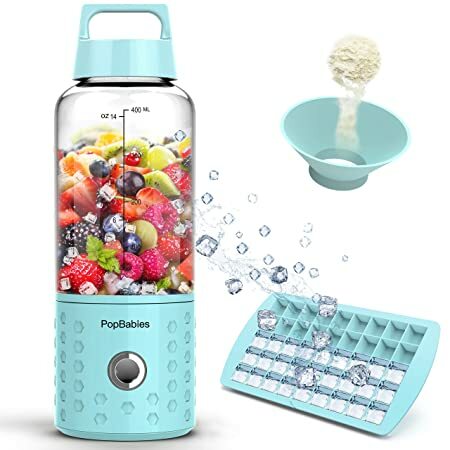 PopBabies personal blender is lightweight, fast, powerful and comes with exciting accessories. Its primary feature is its ability to get recharged and retain power in its built-in lithium batteries for blending anything at just about anywhere. For charging, only a simple USB cable is required. The blender has a portable blender bottle that you can detach and have your drink directly from. It runs at an incredible 22,000 RPM thus can be used to blend ice, frozen fruits, and vegetables as well as nuts. It can easily be ordered from Amazon. Comes with a small ice cube tray. Made from safe materials that are BPA-free and FDA, CE and RoHS approved. The blades of this portable USB electric juice bottle blender are seized up in a cup in order to prevent users from hurting themselves. It is a portable battery-operated blender. PopBabies portable USB electric juice blender is rechargeable using a USB cable and has a battery life of up to five days. It has a portable blender bottle that you can use independently. It is also dishwasher safe, therefore you do not have to worry about putting it in the dishwasher when it gets dirty. You can blend hot food, just not over 100 degrees. This restricts people who like hot blended food. Its motor is quite weak compared to other personal blenders. Listing the best personal blenders out there means having the Vitamix S30 portable blender from Amazon in the list. This is due to its high praises of efficiency and high-end characteristics. This is truly a high-quality personal blender and anyone who owns one can prove this by how possessive they may get with it. The blender constitutes only three pieces that make up a pretty solid construction. It weighs 12 pounds and a capacity of 6 ounces for your substance. 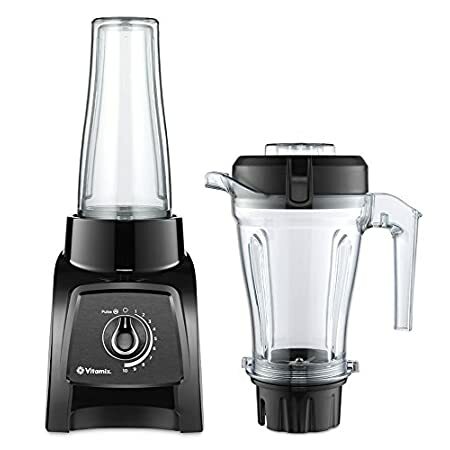 The motor of the Vitamix S30 that runs on 790watts of power is obviously a very powerful machine that does an exquisite job at blending even the tough ingredients you would want to include in your smoothie. However, all these awesome features come at a price. A very high price for that matter as one goes for $399. But they will convince you it is worth every penny, which I personally do not disagree with. This portable blender is a work of art. Its build is just impressive and not just for its aesthetics but durability and quality as well. It has a very powerful motor for blending just about anything a regular-sized blender can blend, if not even better. It features hardened, stainless steel blades build to withstand anything you throw at them. You get a five-year warranty for buying this executive personal blender as well. You also get settings from 1-10 and an extra pulse setting as well. It is very expensive and this is pretty much all the fault it has. It may seem wrong to include a 15-piece on a list of personal blenders but this is a very versatile blender that you should consider when you go out to shop for a good blender. Actually, if you just want to use it for smoothies, you could simply take one of the four portable blender cups with you and it will only measure 10.1’’ by 15.8’’ by 10’’ and weigh only 4 pounds. You can get it effortless from Amazon. The Cuisinart CPB-300 offers 350watts of power, a high and low setting, pulse control and an electronic touchpad that makes it able to use in low lighting scenarios. The CPB-300 can be used as a portable blender as well as a fully-functional blender. The Cuisinart CPB-300 on-the-go blender is not as cheap to buy as other previously mentioned single-serve blenders. Epica is a kitchen appliance brand on the rise currently. They introduced their portable blender in 2016 that was actually quite compact and well built. It also has a sleek design that is to the liking of many people according to the various reviews given for this personal blender. 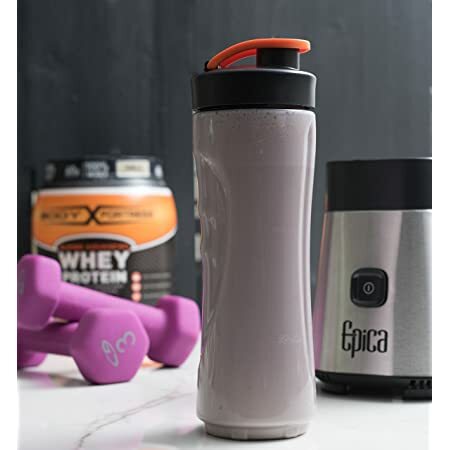 Epica’s portable blender from Amazon operates on a 250watt powered motor with a relatively powerful 23,000RPm. Has a decent power that gives sufficient results. Has a two-year warranty for just in case it breaks down. It’s still new in the market hence no solid reviews have actually been received for it. Last but not least on our list of best personal blenders is Bella Rocket portable blender. It comes with multiple portable blender cups and blades. 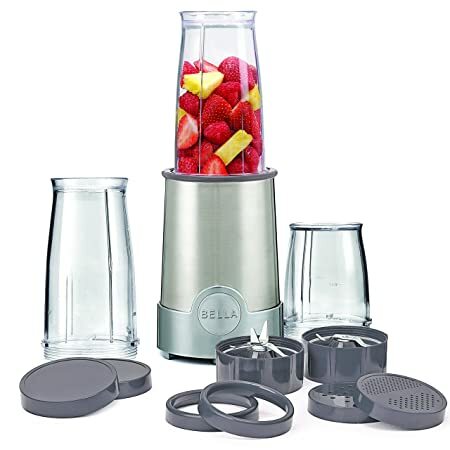 The Bella Rocket holds a 240watt powered motor that is marketed for its versatility to shift between functions like chopping, blending and food preparation. It is very compact as well and also comes with a milling/ grinding blade, 1-13oz and 2-22oz portable blender cups and also a blending blade. You can get it from Amazon. Comes with many various accessories. 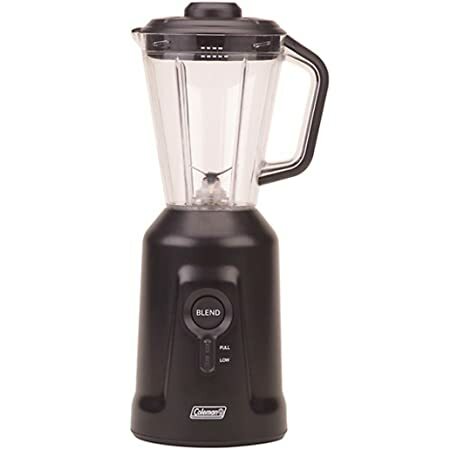 The motor is not that powerful and can take a longer time to blend compared to other on-the-go blenders. It has problems concerning its durability. Can be inefficient in blending hard ingredients like nuts. Portable blenders can be very resourceful in unplanned circumstances. Owning one in this day and age where your health is a key thing to watch, or if you are just a fruit-juice lover will surely set you back a few dollars. However, it’s a really small price to pay considering the convenience one comes with. So, if you were set on buying yourself one, here’s a guide just for you. Once you find the right blender to suit your unique specifications, then you can blend away. Anywhere and at any time.